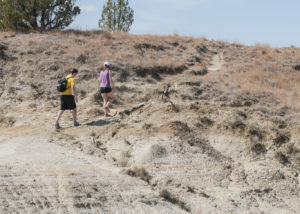 I love taking visitors, even young children to the North Unit of the Theodore Roosevelt National Park (TRNP). It’s on the very south edge of McKenzie County, and is one of those features that makes McKenzie County a world class destination. 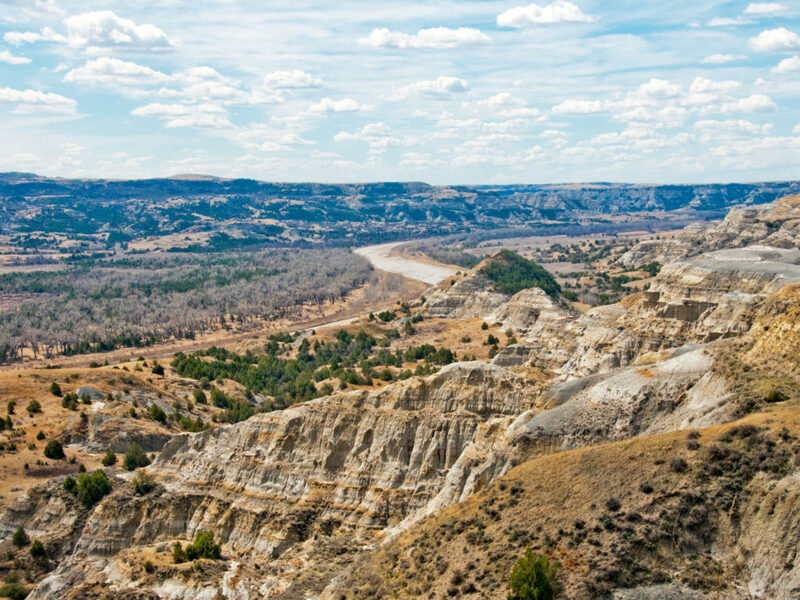 In classic North Dakota style, the TRNP under promises and over delivers. You’ll be amazed when you put on your hiking shoes and explore the park. 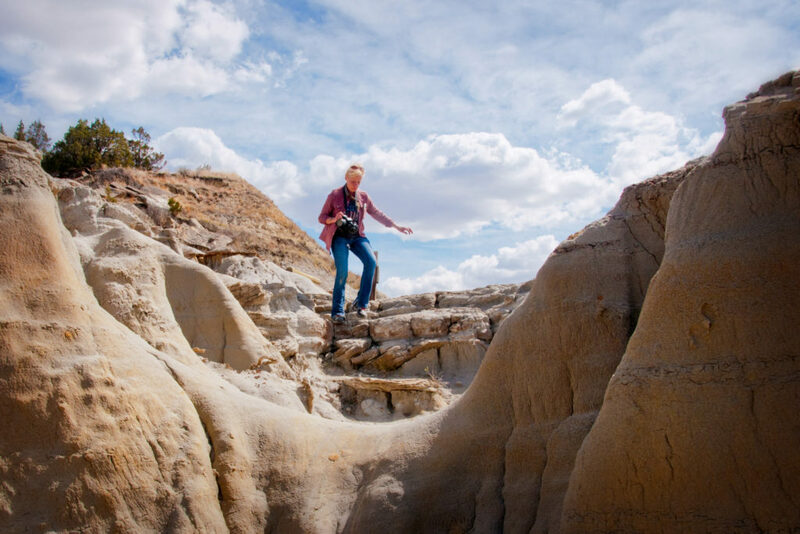 It’s a rugged wilderness with a variety of trails through the park to suit all types of hikers. That’s why, when we visit the park, we don’t stay in the car, we get out of the car and in to nature. When my three kids were in their energetic elementary and preschool days, they could be loose, free and safe to run, explore and challenge one another. Sure, some people just drive through the park, a 14-mile Scenic Drive that leads from the entrance station to Oxbow Overlook, with turnouts and interpretive signs along the way. Drive-by tourists look for bison, park at the top loop and the lookout post, then drive away. The park is there for you to experience, not merely view. So, along the 14-mile drive, you will pass a number of hiking trails. 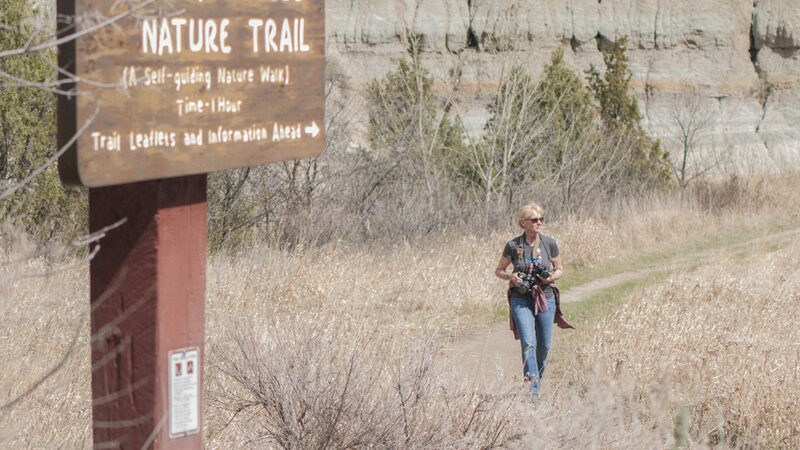 Some are self-guiding nature trails that have interpretive brochures to help you learn more about the park. The North Unit is eons younger than it’s twin in the southern part of the state, the South Unit near Medora. The North Unit is more rugged and challenging. It also has less tourist traffic since it is more remote than the South Unit. The South Unit is on Interstate 94 and easily attracts people to pull off the Interstate. Our personal favorite is to hike all or part of the Achenbach Trial. It is 18 miles long and you can extend it in to a two-day hike. If you intend to camp in the backcountry must obtain a free backcountry permit prior to their trip. Permits are issued at the South Unit and North Unit visitor centers. The full trail provides steep climbs and descents and two river crossings await you on a trail that leads deep into the heart of the Theodore Roosevelt Wilderness. It’s tough to do in one day, so we recommend just taking the west end of the trail down the hill from the Oxbow overlook. The map will shows where to get on and off. If you have children, try the Caprock Coulee or Cannonball Concretions for a couple hours. If you keep it short, you won’t get as worn out, and the kids will look forward to returning. Last fall, we hiked the west portion of the Achenbach. We parked our Jeep near the bottom of the hill, and hiked up over a ridge to the south to intersect with the trail. Once on the trail, we headed westerly. It’s an upward grade, but we were fresh, so it was an easy hike up. We’d stop every so often to look over the hills, or look back to see how far we’d come. 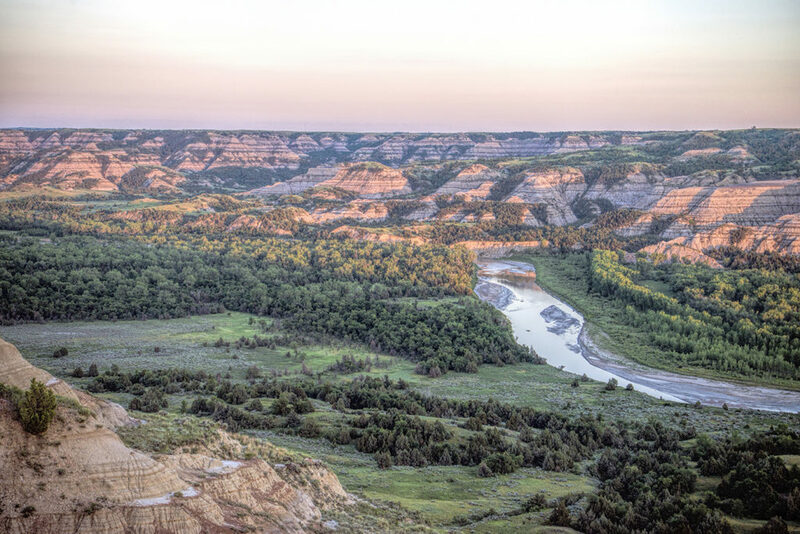 The Oxbow Overlook is one of the most photographed buildings in the state. The North Unit is a 50-mile drive north from Interstate 94. 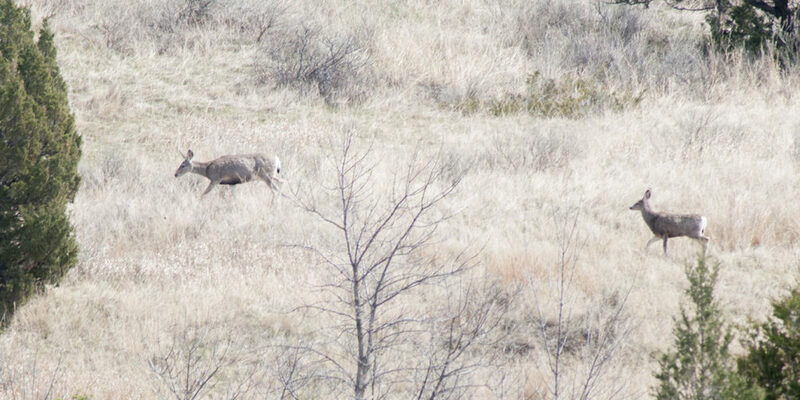 Or a 15 mile drive south of Watford City in McKenzie County. It’s a good highway in to the park from either direction. The highway in the park is well-maintained. 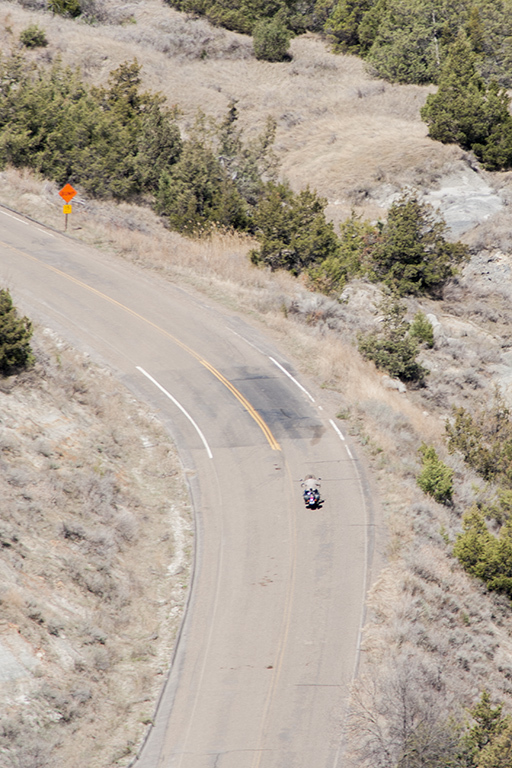 Motorcyclists often make it a day ride to and through the park. Stop in the visitor center when you pay the entrance fee to get maps. There are three easy trails, each shorter than one mile and can be hiked in less than a half hour. It’s right on Highway 85, a modern two-lane highway 50 miles north from Belfield and Interstate 94. 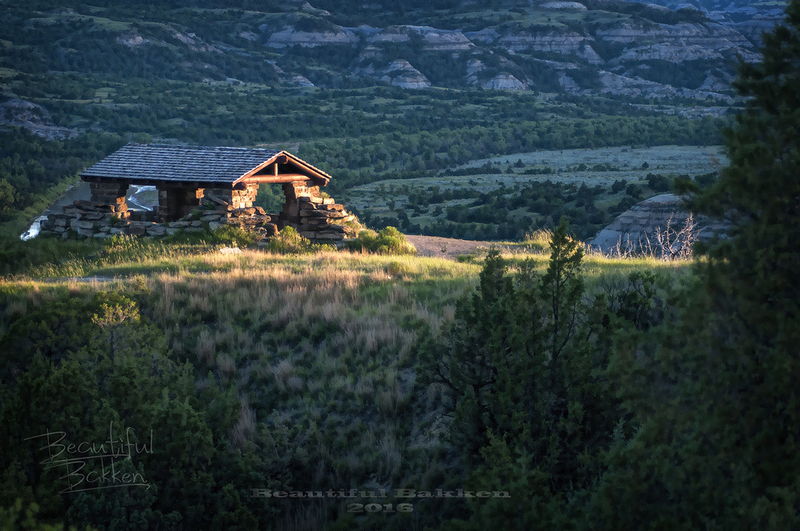 Or you can come down from the north, about 14 miles south of Watford City on Highway 85. 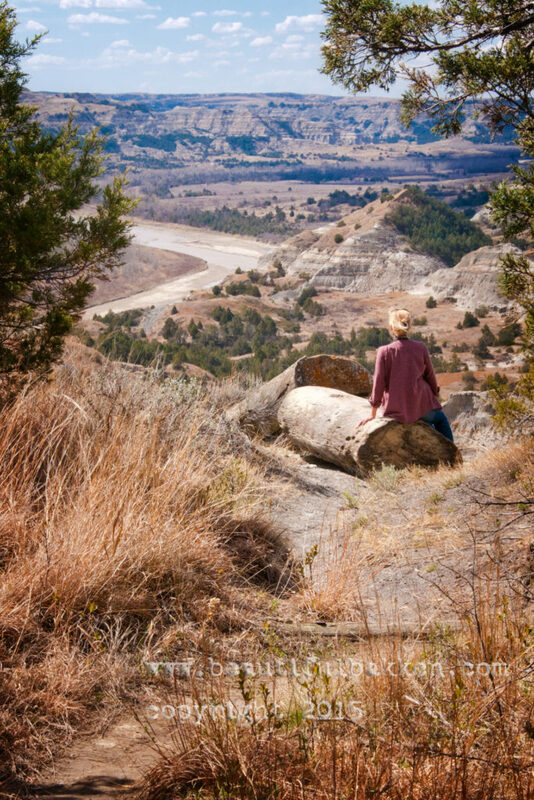 Subscribe to get more vacation and exploration ideas from Western North Dakota. Enter the word “McKenzie” in the subject line to get a free 22-page eGuide to places to go in McKenzie County. ← Is today a holler day in Halliday? Fascinating story and beautiful pictures of the area. I would love to experience in person! 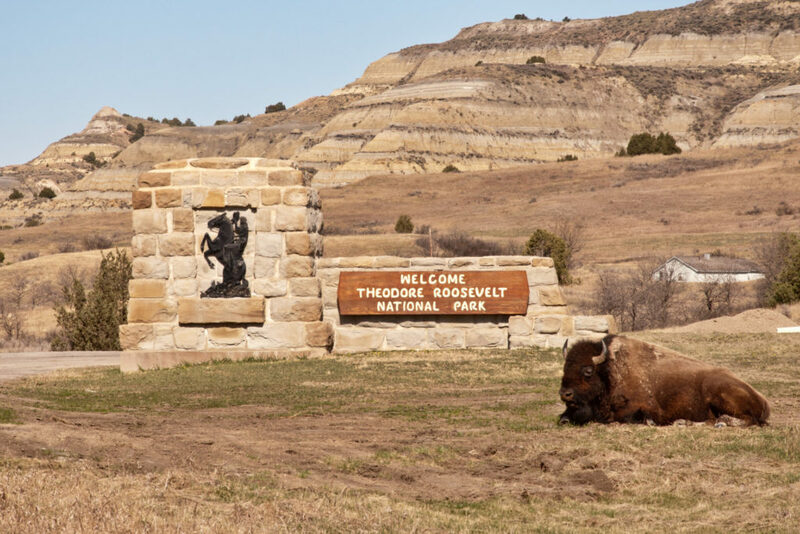 You’ll be impressed wit the quiet grandeur of the TRNP.